Deowrat Medical and Dental Centre is known for housing experienced Dentists. Dr. Pranjal Sharma, a well-reputed Dentist, practices in Bhopal. Visit this medical health centre for Dentists recommended by 51 patients. Dr. Pranjal is having a good hand as dentist. He is calm n cool and above all very jolly with patients. Which I personally think that is very important. Great clinic and doctor! Thanks! Very often in my schedule, a question similar to this one comes up- What food is good for my teeth?? Can I eat chocolates, Ice-creams, Cakes etc without damaging my teeth?? What makes a healthy food?? - Meat, Fish, and Eggs. There should be adequate amount and proportion of all these food groups in our diet. Our diet should include nutrients adequately met for maintaining health, vitality and general well being and also makes provision for a short duration of leanness. 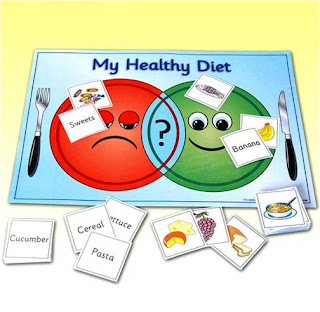 Food pyramid gives us a pictorial representation of food groups that should be included in Balanced Diet or Healthy Diet. This new food pyramid also includes exercises to emphasize its importance. So now make sure you include all food groups in proper proportions and enjoy a new yourself from healthy food habits. Hi, I am suffering from mouth ulcer from last few years. When I get this ulcer I use b-complex tab so I can get relief. But how long is this. Can I have permanent remedy for this. My teeth's are not straight. It comes in front. So I want to straight it. Please tell me what to do & how many cost it take. Dear lybrate-user, the treatment that deals with straightening of mal-aligned teeth is called as orthodontic treatment. Its a process that typically takes about 18-24 months. Cost essentially differs from city to city and the kind of braces/technique that you would like your dentist to use. Sir more than half of his external tooth has broken. And his root is immature. Should I go for rct and then capping. Exact kind of rct depends upon the vitality of the tooth and in turn the potential for root development. Thus the" capping" may be immediately or deferred. Consult your dentist and he shall advise you best. Exact kind of rct depends upon the vitality of the tooth and in turn the potential for root development. Thus the" capping" may be immediately or deferred. I m 24 front teeth overlapping little so for that I need to apply braces. By the end of next year I will go abroad before that I want to complete my braces part. So my concern is that what would be the feasible least amount of time that I need to wear braces for. Lybrate-user usually it takes about 16 to 18 months for such treatment, but depending upon your specific occlusion sometimes it may even be over before 12 months. Check with your dentist for details. I have dental bridge of two teeth in my upper front jaw. Colour of it looks different from rest of the teeth. Colour of bridge is brighter than other teeth. What should I do for matching colour of it. Unfortunately once the bridge is in place you cannot change its shade much. You may have to get a new bridge done.